ALDERGROVE, BC – Dead Frog Brewery has announced the release of a new limited edition beer brewed using a unique ingredient harvested just a few miles from the brewery. A uniquely balanced golden ale brewed to celebrate summer on the West Coast. Fresh-picked spruce tips and Simcoe hops provide a tropical pine aroma that’s perfectly balanced with a golden and crisp malt profile. 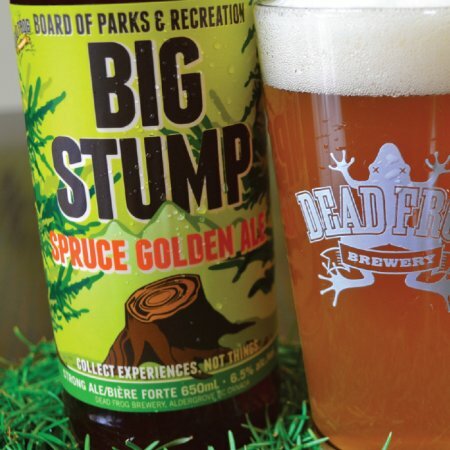 Big Stump Spruce Golden Ale is available now in 650 ml bottles at select liquor stores in British Columbia.